Looking for a summer vacation place filled with fun and excitement? Hells Canyon Idaho is where it’s at! Whether you want to do some backpacking, fishing, or tour the canyon, Killgore Adventures does it all. Our riverside location is only 17 miles from the center of Hells Canyon and Pittsburg Landing Marina where we start our trips. Jump on our Wild River Tour and take a ride of a lifetime. Our jetboat will take you upriver through all the big whitewater rapids and through the deepest, most rugged part of the canyon to the Hells Canyon Dam & Visitors Center. Want to do some fishing? Our fishing guides will take you on a jetboat ride on the Snake or Salmon Rivers where you can fish for Salmon, Steelhead, Sturgeon, Trout & Bass. Salmon season is fast approaching so don’t wait, book your Salmon Fishing trip now. Convenient lodging and RV Park accommodations are also available along the Salmon River near White Bird, Idaho. 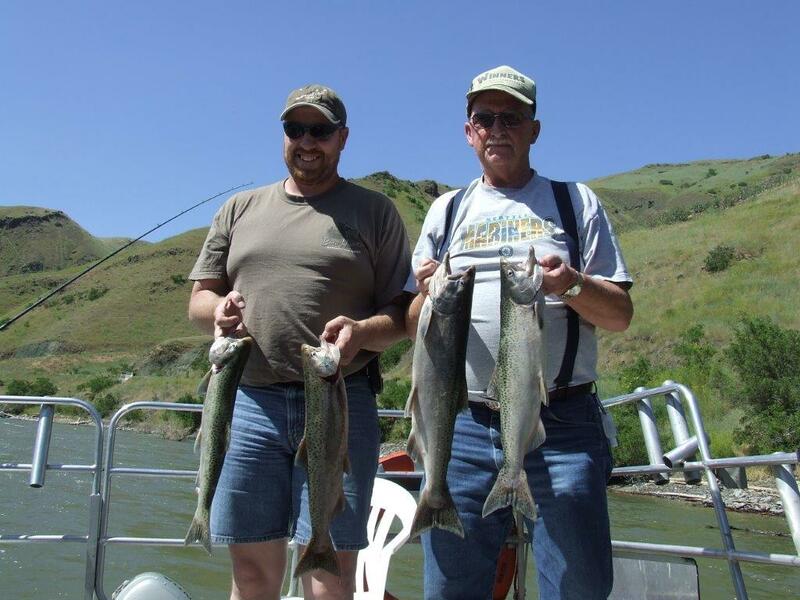 Don’t miss out on all the Hells Canyon fun and excitement. Book a jet boat trip today with Killgore Adventures!